It doesn't officially open to the public until Saturday, but several notables will gather Thursday morning for a ribbon-cutting ceremony of Chicago's newest attraction: TILT. 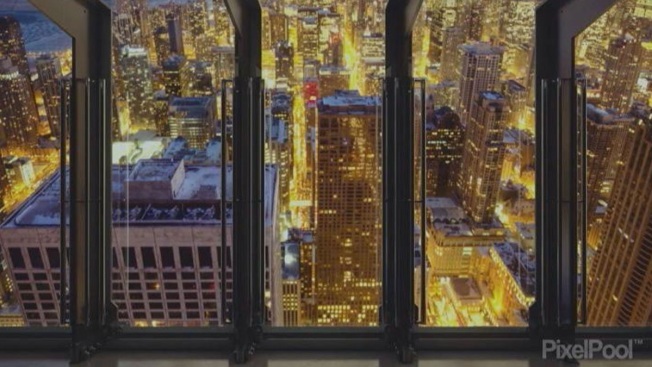 The vertigo-inducing bay near the top of the John Hancock Center protrudes from the side of the building and provides incredible views of the city 1,000 feet below. Scheduled to attend Thursday's 11:15 a.m. ceremony include alds. Bob Fioretti (2nd) and Brendan Reilly (42nd); 360 Chicago general manager Nichole Williamson; Choose Chicago president Don Welse; Illinois Office of Tourism Deputy Director Jen Hoelzle; and Eric Deutsch from Montparnasse 56 Group USA, the organization which operates TILT. When it opens to the public, TILT will cost $5, plus the general admission to the observatory. Eight visitors at a time will be able to lean against the window as three hydraulic lifts tilt it 33 degrees from the building. 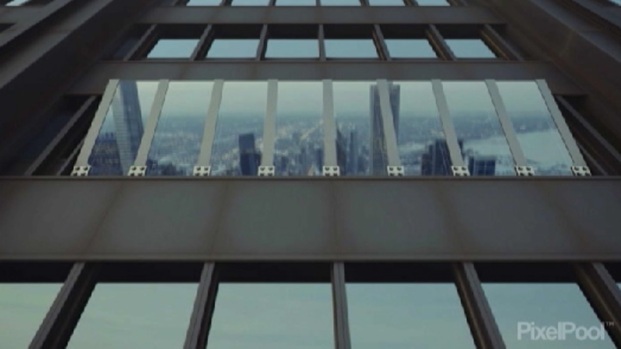 The glass and steel moveable platform gives up to eight visitors at a time a unique view of the city. "We believe this is the first in the world," Williamson said in a March report on the attraction. "The movement in and out of the building is very controlled. We want it to be memorable and thrilling, but we don't want to terrify anybody." NBC News correspondent Kevin Tibbles previewed TILT live on NBC's TODAY program on Wednesday morning.